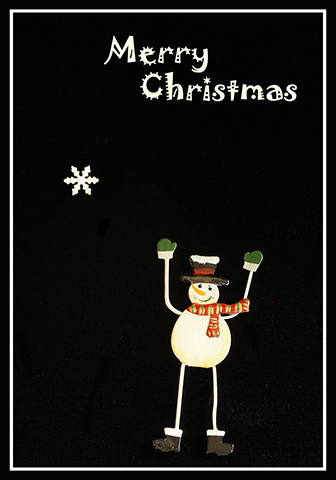 On this page I will give you some free printable Christmas cards. This means they are all free for your own personal use, but please don’t use them on other sites. I have spend some time making them, and they are my material. I have always loved receiving and sending Christmas cards. 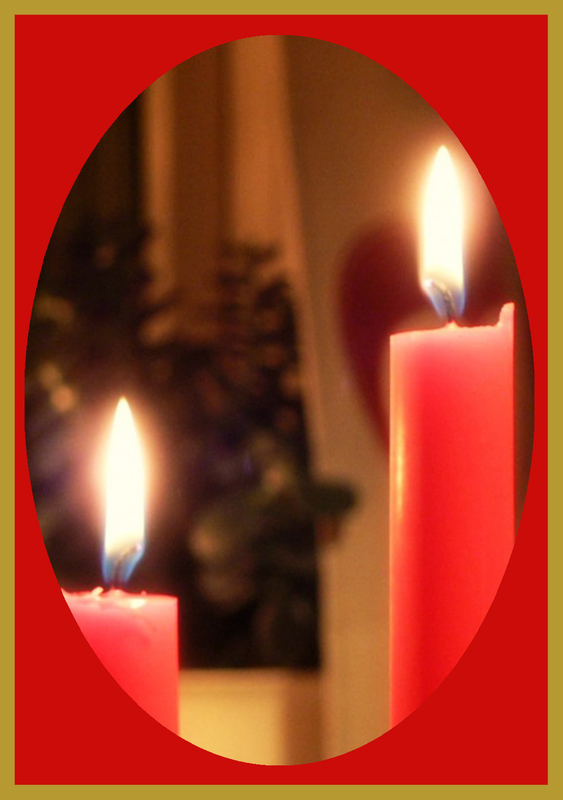 When my children were small, we collected the Christmas cards in a special bowl, and then every Sunday in December, when we sat around the dinner table, one of the kids took the cards and read aloud the Christmas greeting. Later, when the kids had moved away from home, I made my new tradition hanging all the Christmas greeting cards in a string, and as all my friends and family are as enthusiastic about sending greetings as I am, I have always had a very long string with these beautiful Christmas cards. Most of the greeting cards here are the size 3,5 x 5 inches when printed with 300 dpi. If they are a different size I shall try to remember to write it. Click the picture you like to get to the larger version (it should pop up in a new tab). 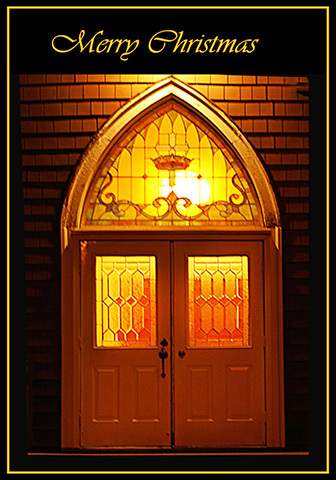 Right click that larger version and choose “save image as” to save the Christmas card. Next step: You print it! 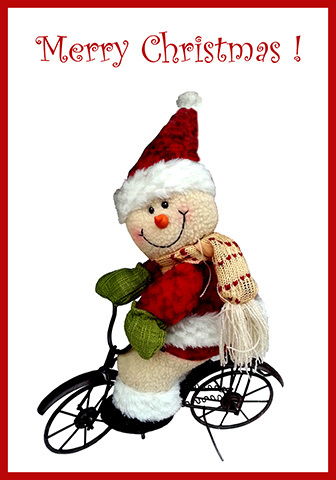 Two very funny Christmas cards, with a Santa on a bike, and the other one with two funny snow men. 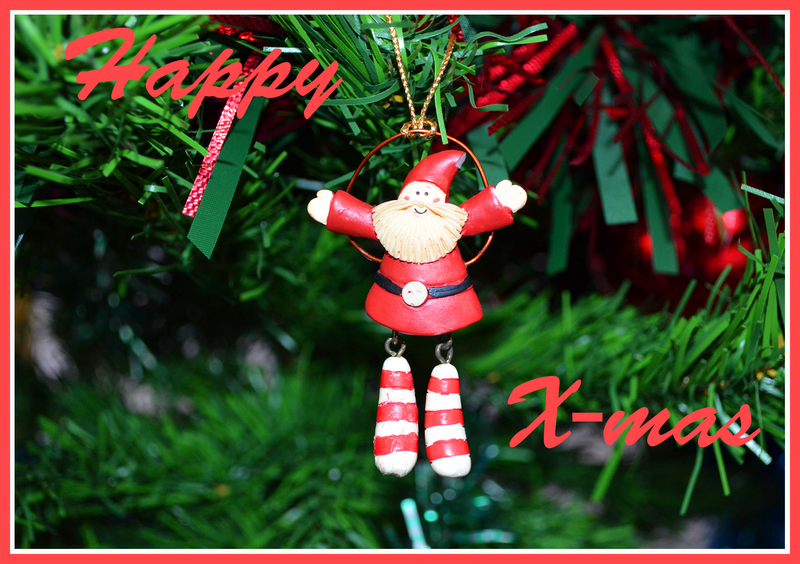 The motive is a picture of Christmas decorations and toys wishing you a happy Christmas. 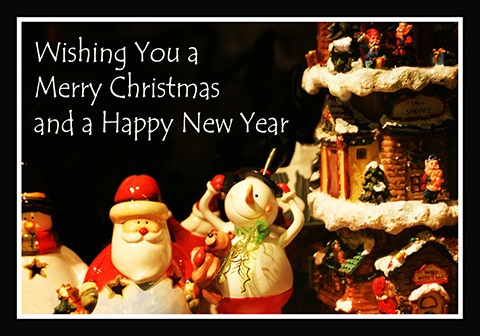 I hope you will find a greeting card that you like, and I hope the receiver will appreciate your concern. 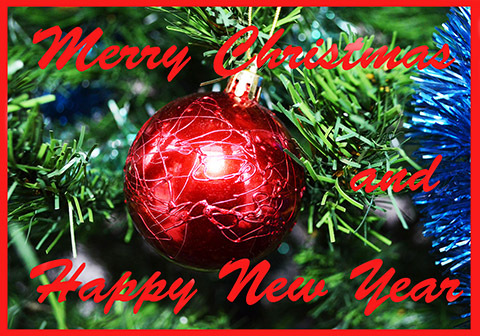 Christmas is, for many people, the one time they get to tell their family and friends how much they mean to them. Christmas cards allow people to send sentiments of love and happiness to the people closest to them. Printing your own Christmas cards means you are not only saving a little bit of money at an expensive time of year, but giving each person who receives one a special keepsake too. The free printable Christmas cards on offer here have something for everybody and they don’t take too much work to make them look extra-special if that is what you want. According to historians, the very first Christmas card was sent in 1843 by a gentleman called John Calcott Horsley who had been been given the idea by a friend. The front of the card displayed pictures of various people completing acts of charity, as well as a typical British family enjoying the Christmas festivities. Sir Henry Cole, the grateful recipient of the card, was so touched by the gesture he immediately ordered a 1000 copies of the card be printed, so he could send his best wishes to his own family and friends. A further 1000 went on sale in a shop, selling for one shilling, the card went down in history as being the first Christmas card to go on public sale. 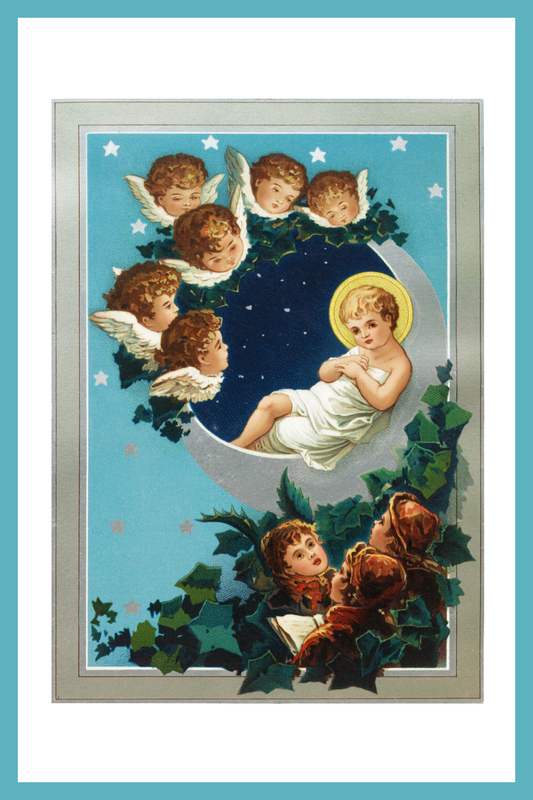 In 1875, the very first Christmas cards went on sale in America. The style of the Christmas card up to 1920 was that of a postcard, with a picture on the front and a hand-written sentiment on the back. However, the 1920s marked the arrival of the first folded cards, which came complete with matching envelopes. Each passing decade, world events, celebrities and other things have all influenced the humble Christmas card. 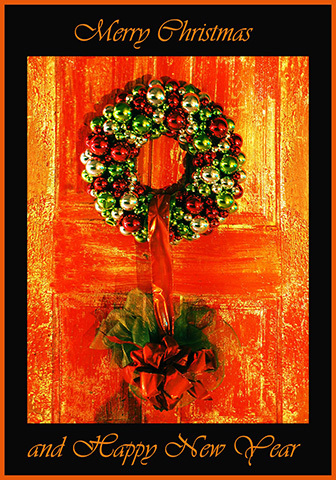 For example, during both World Wars, pictures of robins and Christmas flowers were replaced in favor of patriotic themes. By the 1950s the fact people had become more open-minded was marked by the first appearance of a “comic strip” Christmas card as well as more humorous alternatives. Despite being steeped in history, studies have shown that people simply do not send cards like they used too. Instead, they are more likely to resort to sending an informal text, Facebook message or Tweet. However, it is possible to embrace modern technology and stick with tradition, by making your own cards using the free printable Christmas cards on offer here. Easy to make by simply printing off on your home computer, you can have absolute control over the card’s color, design and overall look. You can even tailor each card you need to the individual who is going to receive it, by adding names or personal sentiments. Online printable Christmas cards offer you the chance to give those closest to you something they will cherish during the holidays and for a long time to come. 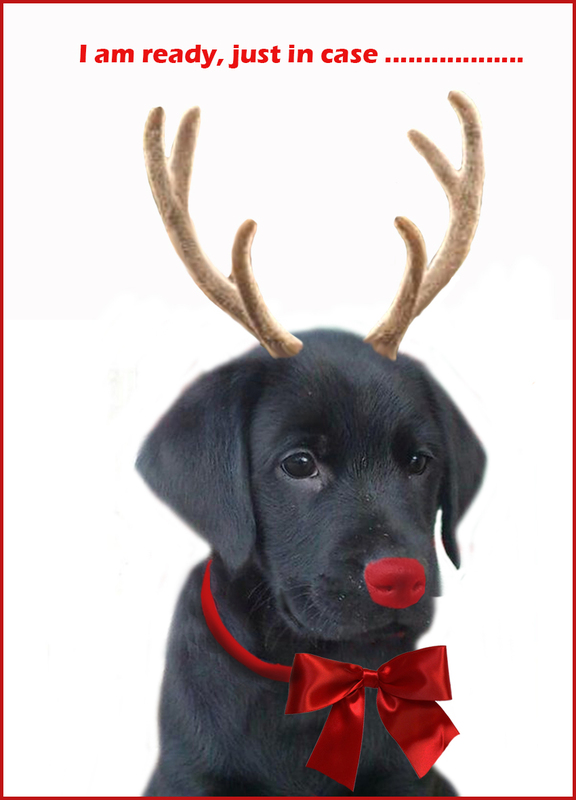 The hardest thing about making your own printable Christmas cards, is deciding on the best images for your cards. 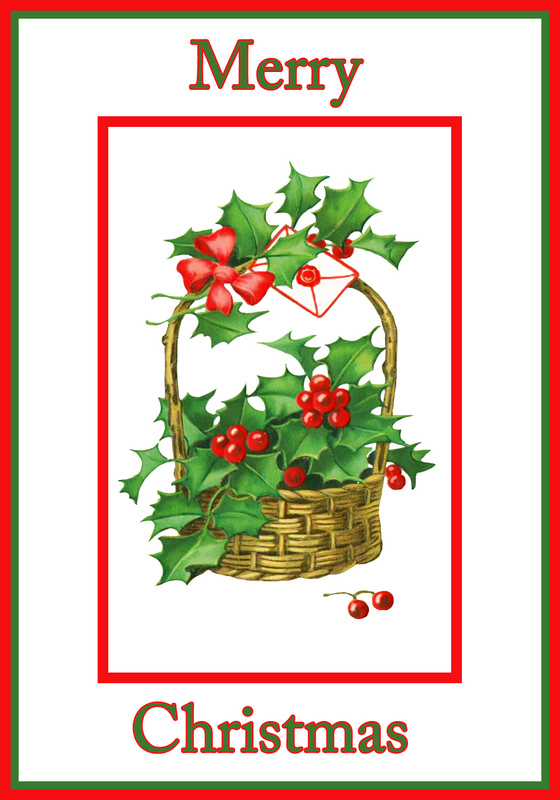 As well as finding a stunning selection of free printable Xmas cards on this website, there is a wealth of beautiful Christmas-themed clipart at the Clipart Queen website . 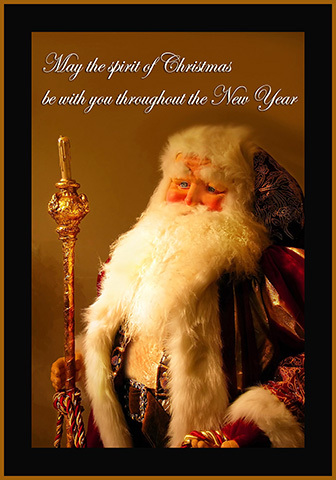 The picture or theme you choose for your Christmas cards will depend largely on who you plan on sending them too. For example, a scene suitable for your parents, will not be as popular with your young nephew. The person’s personality will also have some bearing on the type of card you choose for them. For example, some people are more open to receiving humorous cards at Christmas, where as others prefer to stick to tradition. The card with the little puppy ready to replace Rudolph should be printed with 200 dpi. 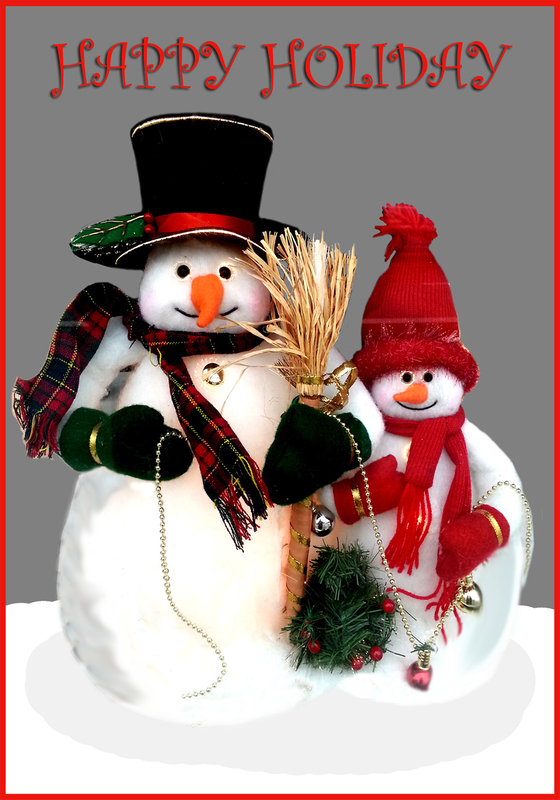 • Traditional – Traditional Christmas scenes are most likely to touch up on the “true” meaning of Christmas and will therefore, usually, have a religious element. A beautiful nativity scene or holly-laden cross are likely to fall into the traditional category. • Formal – Formal Christmas scenes usually concentrate on picturesque Christmas scenes. A snow-covered winter scene or a red robin on a holly branch are both considered formal. Old-fashioned pictures of Father Christmas and children enjoying their gifts are also formal examples. This category is ideal for people you may not know very well or for people you know would appreciate the beauty of a formal card. • Cute – Cute Christmas cards fall into a broad range and usually involve some sort of cute and cuddly animal, maybe in a Santa’s hat or wellington boot. Of course, while cute cards are ideal for the children in your life, nobody is ever too old to receive a card that gives the “Ahhh” factor. • Humorous – According to statistics provided by Hallmark, the United Kingdom’s largest suppliers of cards, humorous Christmas cards have been steadily growing in popularity since the 1980s. From deadpan and childish to flirty and cheeky, if you want to ensure a smile on the recipients face you cannot go wrong with a humorous Christmas card. Once you have decided what “theme” your card is going to have, you can choose one from the selection available. Using free printable Christmas cards means you can make your Christmas greetings as unique as you want too. 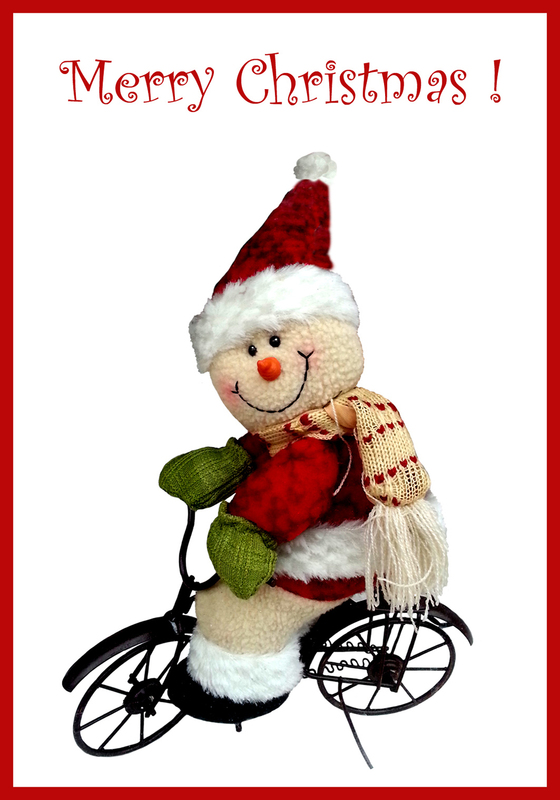 • Age – If you are making a card for a toddler, then you can’t really go wrong with a cute fluffy animal complete with Santa’s hat. If your child is a little older then you may want to go with modern-traditional, such as a carton character of Father Christmas. Children who closing in on their teens, will definitely appreciate a humorous Christmas card – with age-appropriate humor of course. • Gender – Thanks to the traditional Christmas colors – red, green, silver and gold – you don’t have to worry about choosing a gender-specific color for your free printable Christmas cards. Don’t be afraid to use blues and greens for the female children in your life, if that is what you think they will like. That is the joy of making your own cards, you can finish them exactly how you want too. • Personality – The stereotypical boisterous boy and angelic girl is most definitely not an accurate picture of kids today. 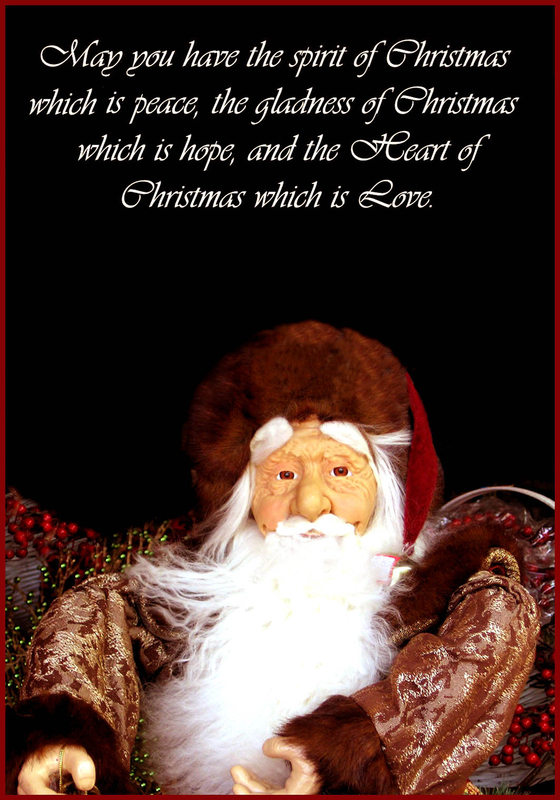 Therefore, if you know a little girl would much prefer a scene involving Father Christmas on a festive train, as oppose to an angel and stars – don’t be worried about going with your instinct and making her a card she will love. Kids of all ages will love having their name printed on the front of their Christmas card, just because they know it is unique to them. • Family – The cards you make don’t have to differ as far as theme and pictures go but you may want to add “mum” “dad” “auntie” etc, to the appropriate card for family members. The sentiments inside the cards for your family will also reflect the fact you share much closer bonds with them than your friends – in most cases anyway. • Friends – The casual relationships you have with friends mean you can have more creative license with their cards, in regards to humorous pictures and cheeky sentiments. Of course, if you want to express your gratitude to certain friends for their support throughout the year, you can add the sentiments of your choice to their card. That is yet another bonus to using printable Christmas cards. Whoever you decide to make a card for, whether its your sweetheart or a friendly neighbor, you will find something for every possible taste here. Choosing from the many free printable Christmas cards on offer is the only thing you will need to worry about when it comes to sending your nearest and dearest Christmas cards this year. • Felix Summerly’s Treasure House, on Bond Street in London was the very first shop to sell Christmas cards to the public. The order, consisting of 1000 cards, pictured a traditional winter’s theme and proved a hit with the crowds, who were more than willing to pay the one shilling asking price in return for a card. 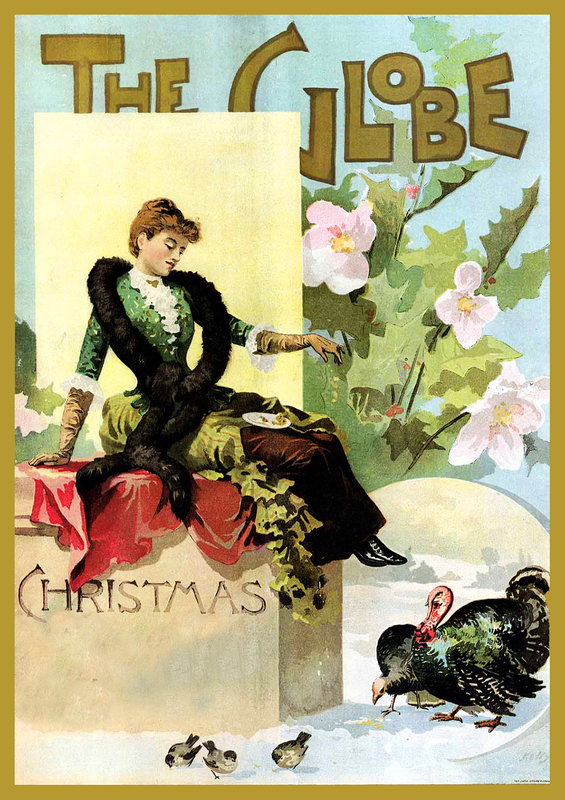 • In the 19th Century, it was commonplace for Christmas cards to be delivered to recipients on Christmas morning. Of course, as demand grew and more people began to send Christmas cards to family and friends this was eventually changed. Stopping altogether when Christmas day became an official holiday for most. • In 1898, Canada was the first country to produce a stamp specifically for Christmas. Most Western countries were quick to follow suit and it is now common practice for a Christmas-themed stamp collection to appear to celebrate the season. • The red-breasted robin is the most popular image to feature on Christmas cards, even more so than images of Father Christmas. In fact, the robin has the Christmas card to thank for being linked to Christmas, as appearing on a multitude of different designs has made it the official Christmas bird. • Postmen in Victorian England were often referred to as Robins, because of their striking red, double-breasted jackets. 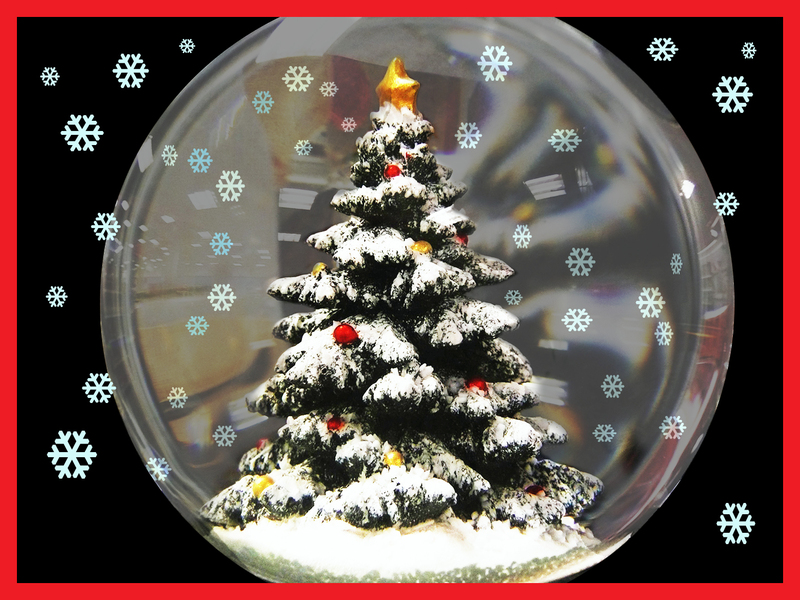 • Christmas is the largest card-sending holiday of the year, with an approximate 1.6 billion cards sent in America alone. • According to a study by card manufacturer Hallmark, most people like to send a card at Christmas because they know how good it feels to receive a greeting at that time of year. Nearly sixty-percent of people also said they would much rather receive a nice card that had some thought put in to it than a gift. • According to one of America’s largest crafting retailers, Michaels, an individual is five times more likely to keep a handmade card as a momento, as oppose to keeping a shop-bought alternative. 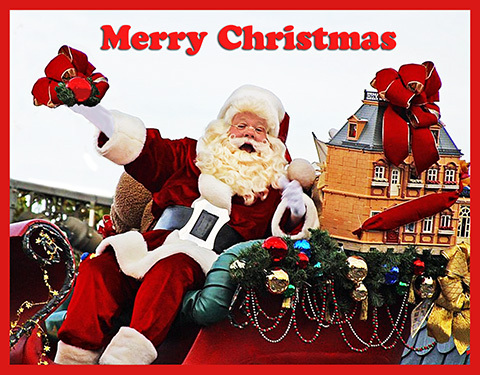 If you want some funny information about Christmas, I can recommend that you visit a page with Christmas greetings and Christmas sayings, where you will find lots of funny information. Here is another website with free printable greeting cards, both Vintage an new, click here.